Camping is a great way for families to bound and spend quality time together. Whether you’re looking to pitch your own tent or looking for an air conditioned cabin, we have got the best 3 camping grounds to suit all families. Bend-Sunriver RV Campground – The site includes a coordinator who will ensure that your whole family will be able to get involved in activities such as scavenger hunts and sand castle building. The camping ground is close to central Oregon Mount Bachelor which provides the whole family with activities such as biking, hiking and fishing. 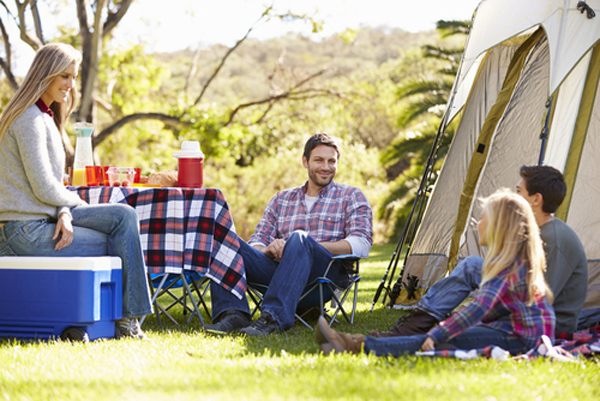 Relax in the evenings in your RV, with organized camp fire BBQ’s and family games. Lakedale resort- This campground is in San Juan Island, Washington. This site is designed for the modern day camper Family, who is looking for outdoor adventure, but still wants their creature comforts. The site includes lodges with Air conditioning and mini jacuzzis. The resort is surrounded by three lakes and therefore provide for fishing, canoeing and paddleboarding during the day. Activities for kids include camping cooking lessons and painting. Fort Yargo State Park- This park is part of the first time camper program and provides your family with the opportunity to sleep under the stars. Kids will be given lessons on camping and camp safety from the park staff, before they get the chance to set up their own camp. Apart from these activities, the park hires trained rangers to take kids on hikes to explore and learn about the nature.